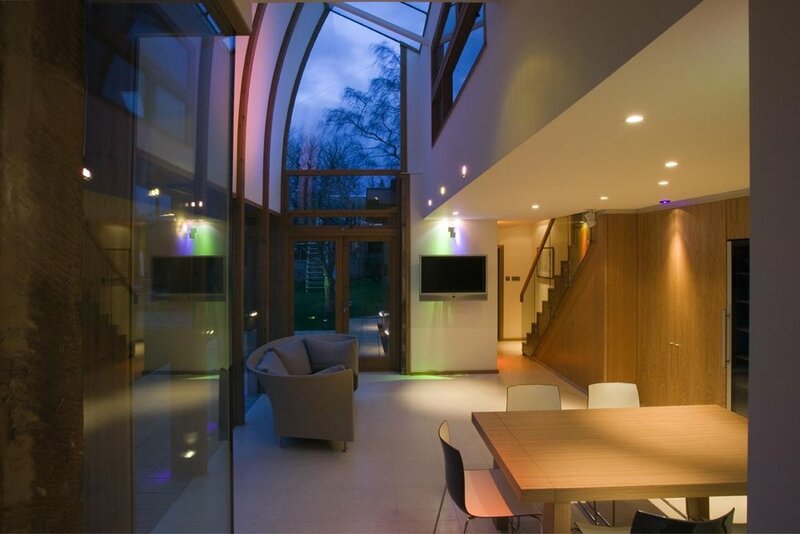 A contemporary addition to the back of a Victorian house in the Grange Conservation Area. 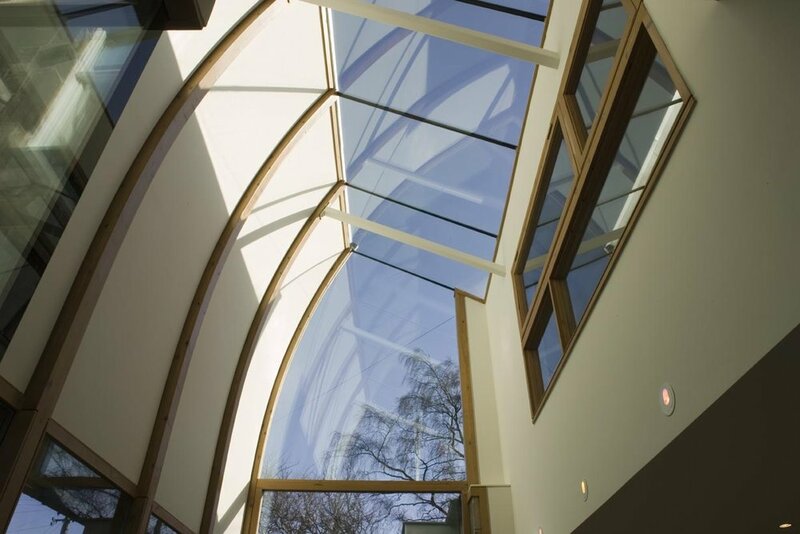 The form of the new extension gathers the warm tones of the sunlight from the South and reflects it down into the new living space. The frameless glazing between the legs of the structure allows visual connection with the garden. 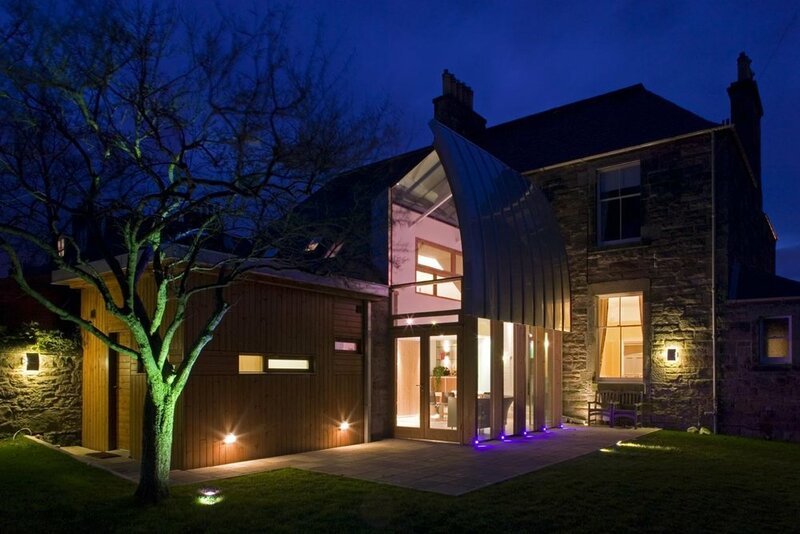 The extension is composed using the classical proportioning of the Golden Section.